Sometime last month, Arc System Works and animation house Trigger Inc. (also known as Studio Trigger, responsible for anime such as Kill la Kill and Little Witch Academia) had a mysterious countdown that led to the announcement a video game based on the popular anime series Kill la Kill. The in-development title, of which is being handled by APlus Games, now has a full name and trailer, thanks to a recent announcement and official reveal at Anime Expo 2018. The game is titled Kill la Kill the Game: IF and came with an accompanying trailer, which can be viewed above, that shows off the animation style and some gameplay. 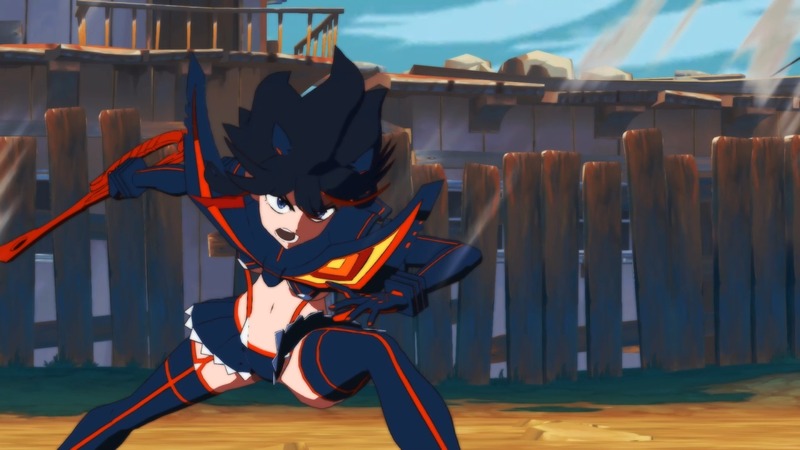 Kill la Kill the Game: IF is billed as an arena-fighter similar to 3D brawlers like the Naruto Ultimate Ninja Storm series and the Dragon Ball Xenoverse series. However, because it’s being developed by Arc System Works (Dragon Ball FighterZ, Guilty Gear Xrd), the studio’s brand of design – particularly cel-shading – is prevalent throughout, giving it that distinctly anime-like feel that Arc System games are known for. The first public demo of Kill la Kill the Game: IF will be playable at Evo 2018, which runs from August 3 to 5 in Las Vegas, Nevada. The game, according to the trailer, promises to tell “the untold story of Kill la Kill.” The 2013 anime follows transfer student Ryuko Matoi as she searches for her father’s killer, which lands her at Honnouji Academy, where she runs into a violent conflict with the academy’s iron-willed student council president, Satsuki Kiryuin, and her mother’s fashion empire. It’s unclear where the game’s story will pick up. Kill la Kill the Game: IF is headed to PC and PlayStation 4 sometime next year.